Explanation: Is the distant universe really what it appears to be? Astronomers hope not. Intervening dark matter, which is normally invisible, might show its presence by distorting images originating in the distant universe, much the way an old window distorts images originating on the other side. By noting the degree to which background galaxies appear unusually flat and unusually similar to neighbors, the dark matter distribution producing these weak gravitational lensing distortions can be estimated. 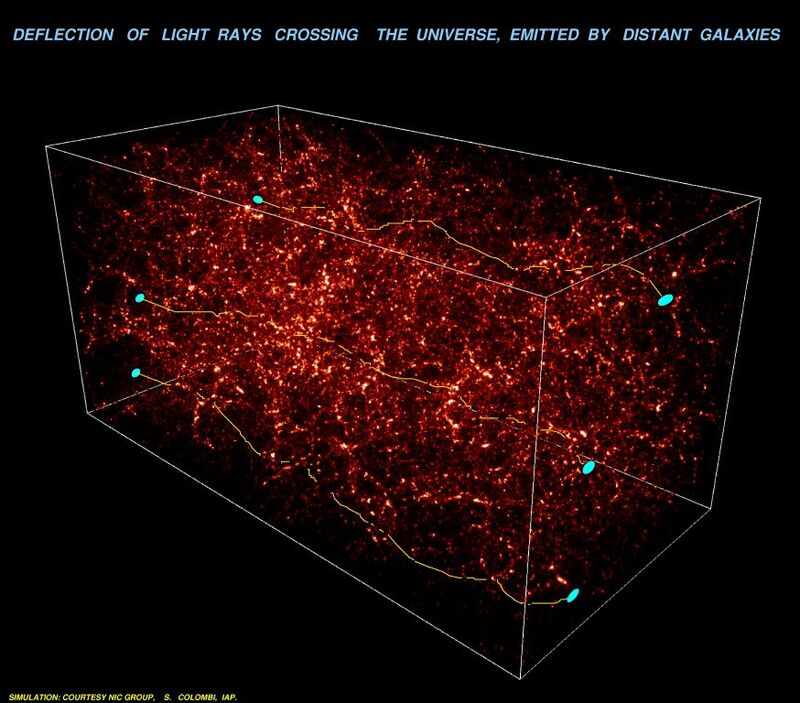 Analysis of the shapes of 200,000 distant galaxies imaged with the Canada-France-Hawaii Telescope (CFHT) does indicate the presence of a massive network of distributed dark matter. Future results may even be able to discern details of the distribution. 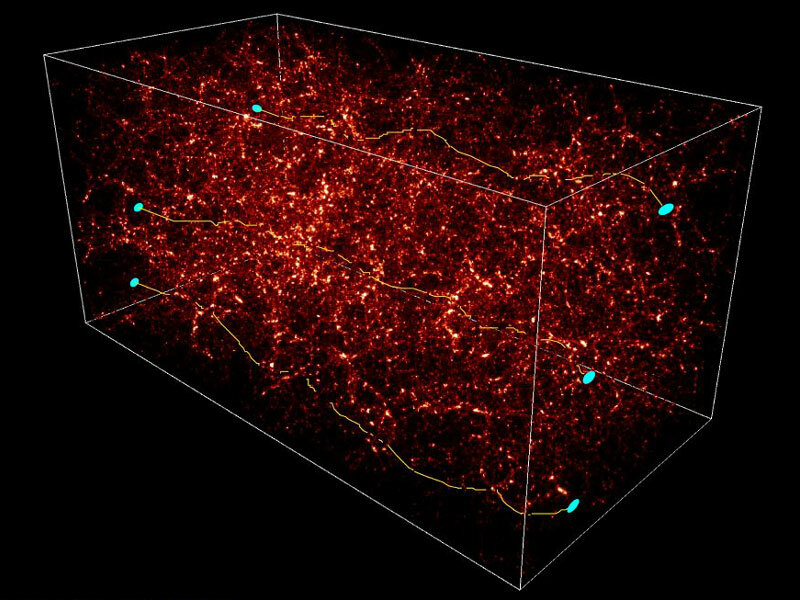 The above computer generated simulation image shows how dark matter, shown in red, distorts the light path from and apparent shape of distant galaxies, depicted in blue.